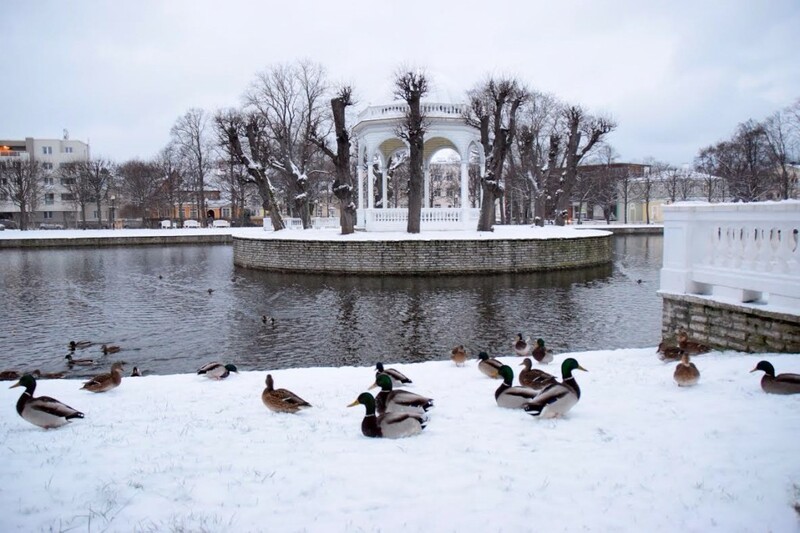 Kadriorg is considered the most beautiful area of Tallinn. This picturesque district is in the city center, yet feels secluded as it is surrounded by trees creating a small town feel. Whether you go there to admire the 19th century wooden villas, to promenade through the park like the Russian nobility used to or to look at some art in museums, there is plenty to do for all ages. Oh, and you might just see the president! How to get to Kadriorg? Kadriorg is about a thirty-minute walk from the old town or a five minute drive on a taxi. You can also get here with a tram. Trams number 1 and 3 go here, you should get off at the Kadriorg stop to reach the park directly or Koidula stop if you want to have a short walk through the area before reaching the park (tram nr 3 is currently offline but should come back to service any time in 2015). You can buy the ticket on the tram (1.60€) or if you plan on using public transportation more often, you can get a green card from any R-kiosk and buy a daily or even longer ticket. Find out more about public transport and other Tallinn basics here. The Kadriorg area is mostly known for its picturesque streets, buildings and parks. The whole area is full of wooden houses from 19th and 20th century. The area used to be a resort destination for the Russian elite who came here to rest from their difficult lives full of… resting? However after opening up the tram line in 1888, regular city folks also started coming to the area to promenade and rest. Soon after the Russian elite left for other, less middle-class, destinations. The Kadriorg Park consists of different areas. Some of it looks like an average, yet thinly populated forest, but the park gets more structured the closer you get to the Kadriorg palace. Located right next to the last tram stop, the Swan lake (technically a pool) and its surroundings are wonderfully designed. The pool is home to two black swans. Uphill from here, you will find the Kadriorg Palace. The inner courtyard behind it is symmetritcal and so beautiful during summers it has become a very popular place for wedding photos. During sunny days, you will definitely see some couples posing. Climb up the stairs in the courtyard to peek into the president’s back garden! The Japanese Garden which is a little bit away from the park center and on the way to the Song Festival Grounds is a hidden gem. The Presidential Palace just after the Kadriorg Palace is built in matching style. Security is a relatively new term for Estonia, thus the palace is only guarded by two armed guards who secretly sip coffee from thermoses on the window sills when you are not looking. You can roam around, try to make them laugh (they will not appreciate it) and so on, just do not (really. DON’T) step on the stairs. And who knows, you might just see the president. 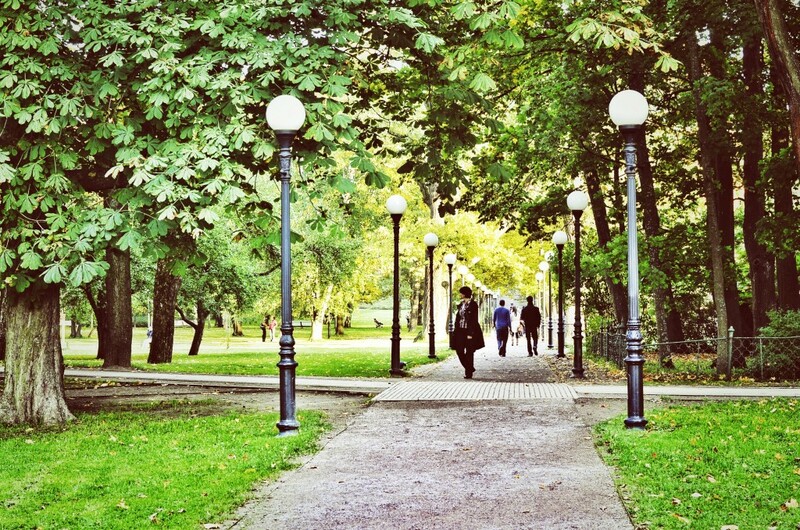 On our Best of Tallinn Walking and Bike Tour and Best of Tallinn Walking and Car Tour we have a stroll in the park and the see the presidential palace as well. A bit further from everything else, you can also find the Song Festival Grounds. This giant venue can fit about 25,000 singers on the stage area. Estonia now holds a National Song Festival every five years. 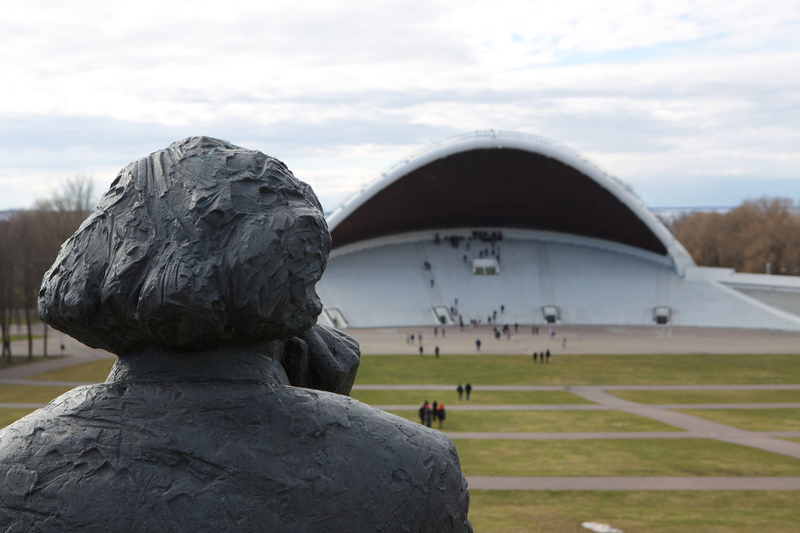 In 1988, the event that named the Estonian Singing Revolution took place here – supposedly about 300,000 people gathered here to protest the Soviet Union through song. Climbing on top of the hill grants a lovely look to Tallinn’s city center, there is also a big sculpture of a man named Gustav Ernesaks there. He is concidered to be the father of the Song Festivals as under his leadership, the tradition stayed alive throughout the Soviet times. If you take a short walk to the seaside, then you can find a beautiful statue of an angel pointing towards the water. This monument is named „Russalka“ – Russian for Mermaid. Russalka was the name of a ship which sank in these waters in the end of the 19th century. The statue was built shortly afterwards to commemorate those on board. Weirdly, people have forgotten its original purpose and find this a lovely site for wedding photos nowadays. 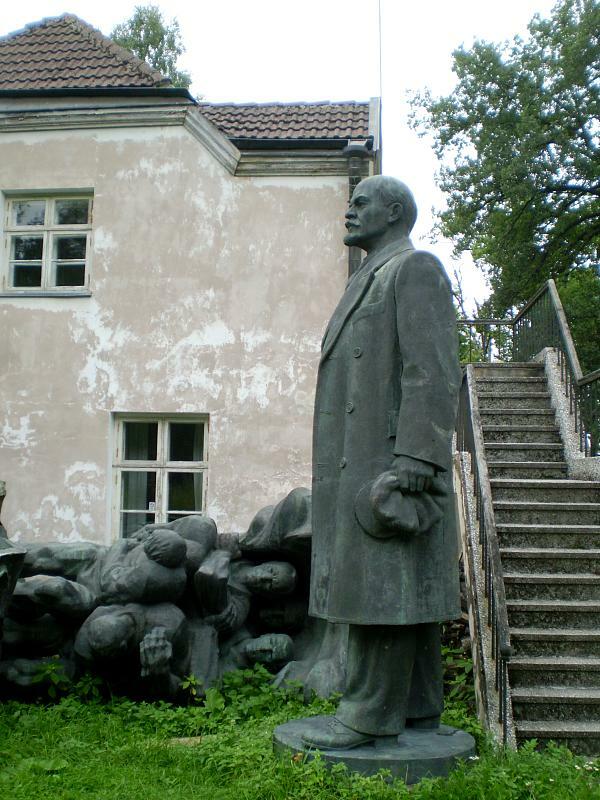 On our Beautiful Bike Tour to Kadriorg and Pirita we ride along the seaside and cover both the Kadriorg park as well as the Song Festival Grounds and monuments along the Pirita highway. Kadriorg has a lot of museums. The biggest one is KUMU – the National Art Museum of Estonia. The museum was opened in this building in 2006 and only two years later it received the European Museum of the Year Award. 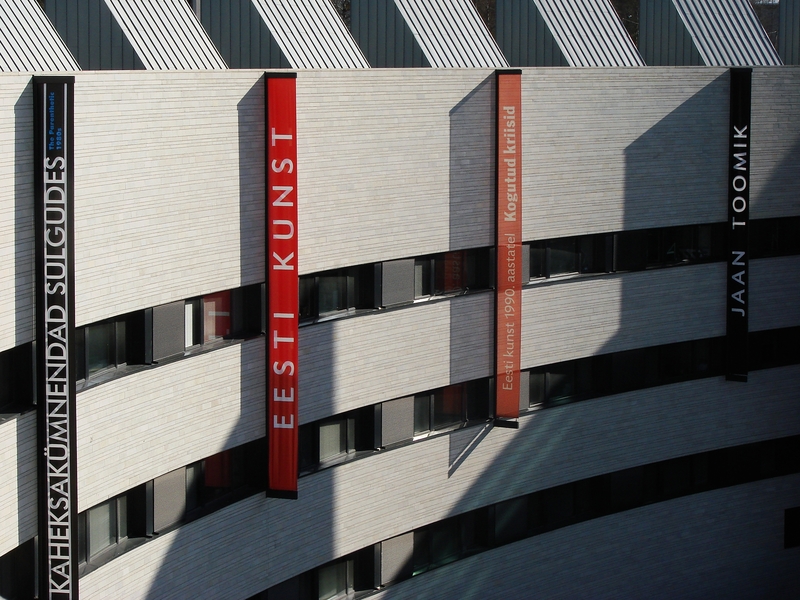 All together KUMU has four floors of Estonian and foreign art. It starts out more classic, but the fourth floor is reserved for contemporary art which can be anything from pictures of cats to paintings of squares to probably just lighting something on fire, anything goes. The last floor is always fun! The Kadriorg palace built in the start of 1700s as a present for Catherine I, the wife of Peter the Great, is currently the Foreign Art Museum. The art is mostly early foreign art from 16th to 20th century. The palace is a sight on its own because it looks marvelous as palaces from the baroque times usually do. 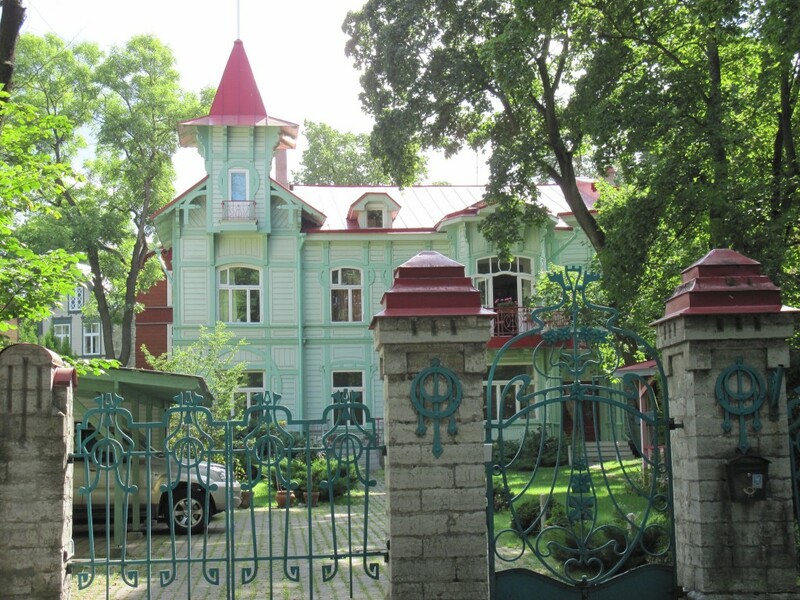 Peter the Great’s House Museum is located up the hill from the palace and right next to the art museum. The building is rather modest and creates quite a contrast to the fancy palace. The exhibition looks like an old house that just used to belong to Peter I. And the basement is full of busts of Roman gods and other mythological characters, because why not. Children’s Museum Miiamilla is a great place to play and learn. The museum for 7-13 year olds is focused on friendship and almost everything here is interactive. 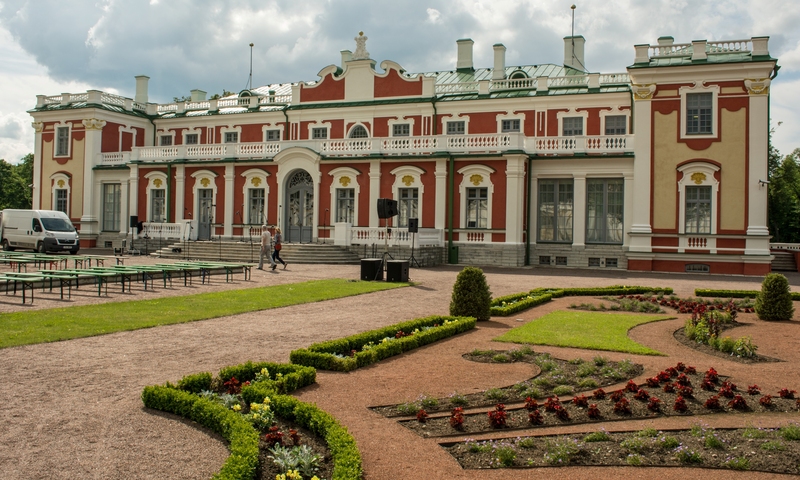 This is a great place to make sure your children will also enjoy the trip to the Kadriorg Park. Kadriorg has some different options for foods from simple pastry and quick snacks to eco-friendly hipster options or plates full of meat. 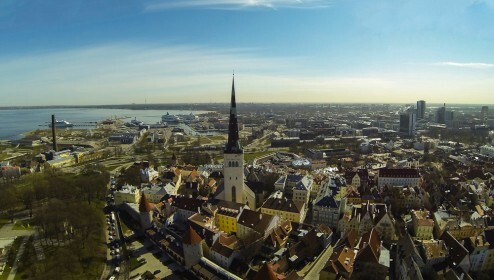 The price-range of most of these places is mostly average for Tallinn city center. Köleri steet at the start of Kadriorg at the „Koidula“ tram stop has a set of different restaurants. NOP located at Köleri 1 is a hipster favorite – it is an organic restaurant which has locally sourced and creative foods. 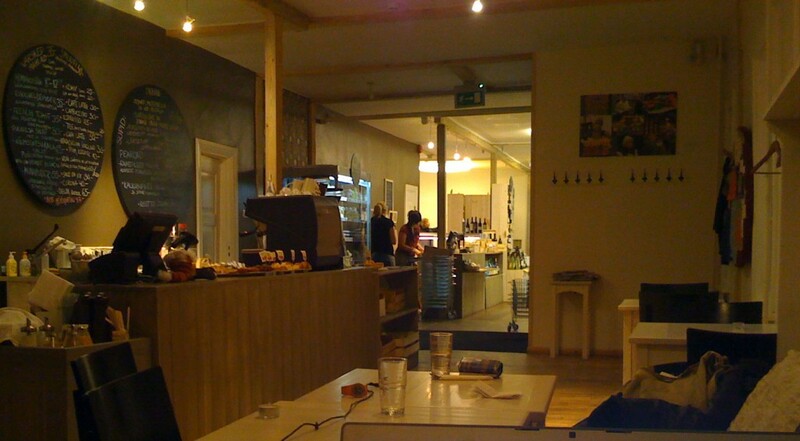 They try to be as eco-friendly as possible, there is also a shop selling handmade Estonian foods. There are also two restaurants at Köleri 2. One of them is simply called Köleri 2. The interior is cozy and the place offers tasty foods mostly with a French influence. There are lovely daily dishes here at work days. The other restaurant in the same building looks rather shady on the outside. It is called Faeton – it is an Azerbaijani restaurant with a wide selection of cuisine mainly focused on meats. The shashlik is definitely worth a try for those unfamiliar with it. Right at the corner of the Kardiorg Park, at the last tram stop (Kadriorg), you can find two different food venues. Right on the corner of the Swan Lake at Koidula 13A, Gourmet Coffee is ready to supply your caffeine fix alongside with cozy sofas and a bohemian vibe. Besides coffee, the place has a menu full of delicious foods. Katharinenthal at Weizenbergi 22 is a fancier cafe and restaurant with a splendid terrace for ice-lattes during summers. A company called Alpinist offers somewhat of a miniature benj-jump from at the top of the Song Festival Stage – you can swing from the top of the stage. The price is up to 25€ per person and it lasts for a few minutes. You need to book in advance, so for a guaranteed adrenaline rush, get their contact info from a website only in Estonian! 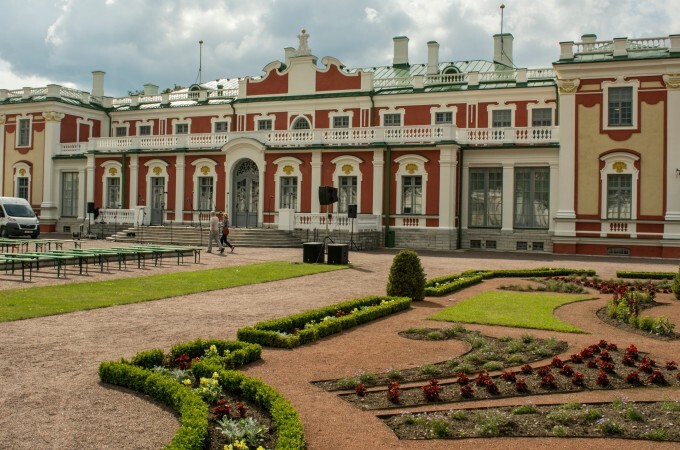 After the Song Festival Grounds little bit away from the Kadriorg area, you will find the Maarjamäe castle which currently houses a part of the History Museum. 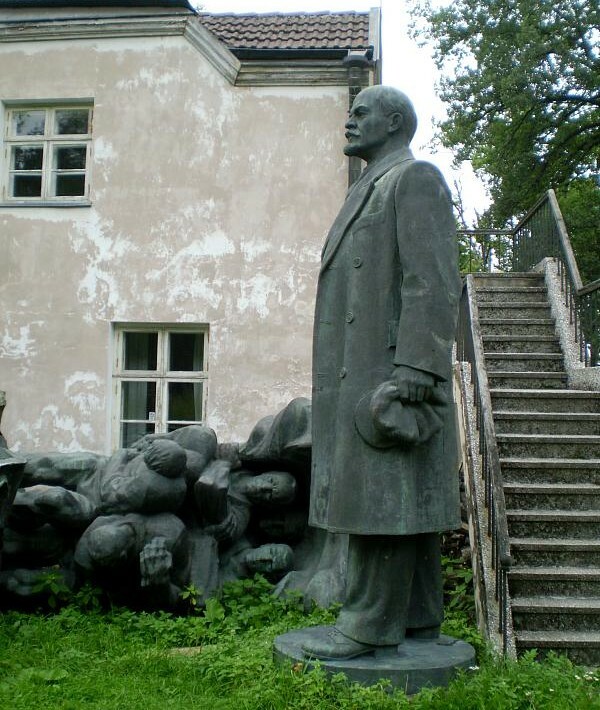 If you wander around the building, you will find a field littered with Soviet statues. These statues owned by the history museum which were either too big or otherwise incompatible with indoors just got left here and are now just gathering moss. By the looks of it, there hasn’t been really any effort trying to make the statues stand up or anything, these homeless things appear to just have been thrown here. Tell us how your trip to Kadriorg went! If you discover something that needs to be on the list, we would love to know!